A quality glass golf hole in one trophy crafted in clear glass featuring a number one figure inset with the legend 'Hole In', to complete the 'Hole in One' concept. 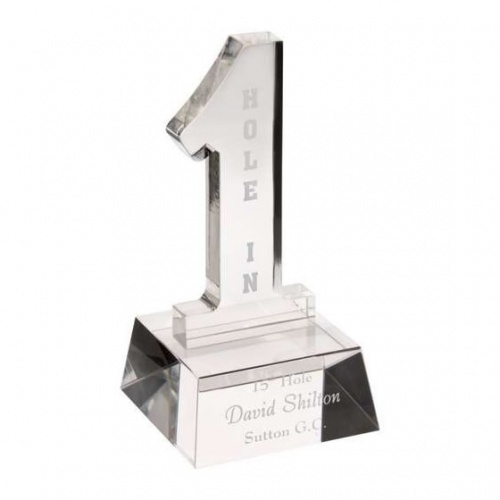 The number one figure is set on a bevelled clear glass base that is ideal for engraving with details of the hole in one achievement. Each of these 5.5in (140mm) tall glass golf trophies is supplied in a quality presentation case.